A keeper of undeniable talent, he started his professional career earlier than most, signing his first contract with SK Beveren at the age of six. Beveren's faith in the prodigious goalkeeper was duly repaid twenty years later when a Pfaff inspired side won the Belgian Championship in 1979. But by then, most of Belgium knew just what a special talent he was. At the age of 23, he made his debut for the national side against Holland, and although the Red Devils lost the game, Pfaff announced his arrival on the international stage by saving a penalty. And in 1978 he won the "Soulier d'Or" (The Golden Boot) after leading the Waasland club to victory in the Belgian Cup. But his pranks were not always to everyone's taste and he almost missed one of Belgium's greatest triumphs on the international stage when he was dropped from the national side just before the 1980 European Championships. 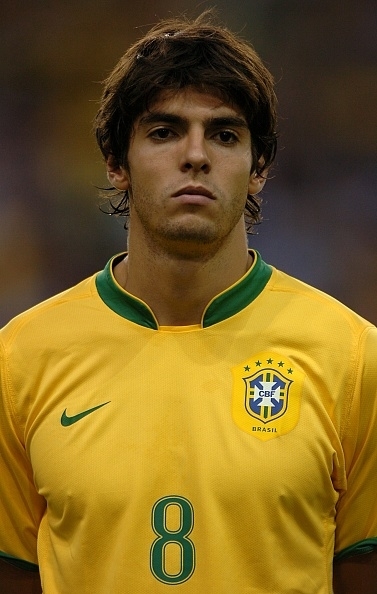 He was eventually recalled and, despite being considered pre-tournament outsiders by the bookies, played his part in the Red Devils' march to the final. Belgium lost in the last minute to West Germany, but it was the start of a golden era for Belgian football, as they qualified for the next three major tournaments. Following his performances in the 1982 World Cup finals in Spain, Pfaff began to attract the attention of some of Europe's big clubs but many were put off by his outlandish behaviour and extravagant goalkeeping style. Bayern Munich eventually decided to take a chance on him, and like Beveren before them, they were not to be disappointed. The German club won three Bundesliga Championships in succession (1985-87) plus two German Cups in 1984 and 1986 with the Belgian in goal. The mid-Eighties were incredibly successful for Pfaff both domestically and at international level. 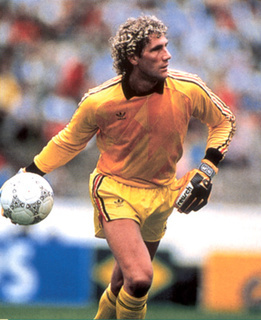 In 1984 Belgium once again qualified for the European Championship and in 1986 they enjoyed a run to the semi-finals of the 1986 World Cup in Mexico that included an epic penalty shoot-out against Spain which once again elevated the goalkeeper to hero status in his homeland. But not even Pfaff could prevent a Maradonna-inspired Argentina from winning the competition. After such a triumphant period, it came as little surprise when Pfaff beat off competition from the likes of Neville Southall and Peter Shilton to become the first keeper to be voted World's Best Goalkeeper by the International Federation of Football History & Statistics in 1987. Pfaff continued to play for Belgium - eventually amassing 64 caps - and later played for Trabzon Sport and SK Lierse. But after retiring from the game, the joker inside the goalkeeper came to the fore and Pfaff became a TV Presenter, later fronting his own reality TV show - The Pfaffs - just to add weight to the theory that all goalkeepers are nuts. Why attack 33? I mean why not and standar value? Maybe was a typo lol.